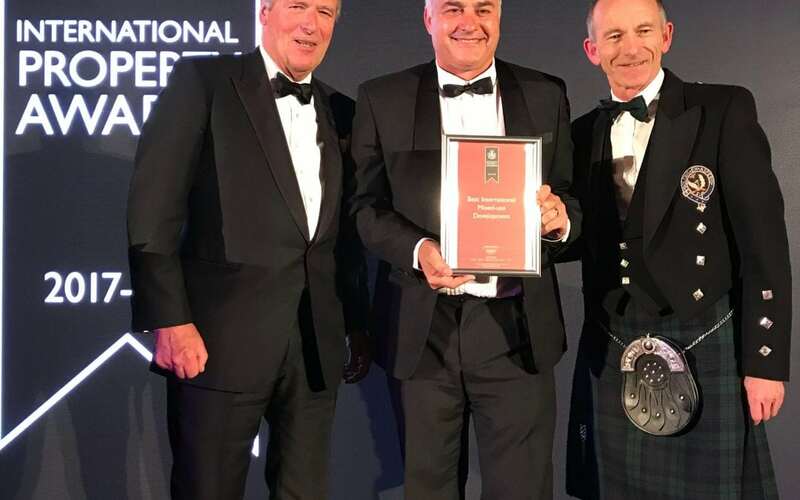 At a ceremony held at the iconic Savoy Hotel in London on 4 December, Waterfall Management Company was awarded the International Best Mixed-use Development 2017/2018 for the Waterfall development. Now in their 25th year, the International Property Awards cover the regions of Asia Pacific, Africa and Arabia, Europe, USA and the Americas, as well as the UK, celebrating the very best projects and professionals in the industry. Over the past year, a panel of over 80 expert judges have studied and assessed thousands of entries from 115 countries. Judging focuses on design, quality, service, innovation, originality, and commitment to sustainability. This is the first time in the history of the International Property Awards that a South African company has won the Best International Mixed-use Development award. By its anticipated completion in 2027, the current estimated developed value is approximately R100 billion. While the Waterfall development currently creates jobs for over 15 000 people, once completed, it will have created close to 70 000 job opportunities. The development in its entirety is also already responsible for contributing to rates and taxes to the City of Johannesburg of close to R300 million per year. This figure is expected to reach over R1 billion per annum by the time of completion. Waterfall Management Company co-ordinates and directs the development with a holistic long-term view in mind and closely collaborates with specialist development partners, planners and Government authorities. Attacq is one of the major role players on the property. Commercial developments by Attacq and its partners include The Mall of Africa, the PWC building, Amrod, BMW and Massbuild distribution centres as well as the soon to be constructed Deloitte building, to name but a few. On the residential front, Century Property Developments, along with their investment partner Sanlam, and Calgro M3 Holdings have so far constructed a combined total of over 2 800 units, ranging in sales price from R500 000 to R150 million. Meanwhile, Balwin Properties are in the process of developing approximately 23 000 residential units, to be completed by 2027. Other role players include Netcare, Curro and Reddam schools, BP and Sasol. Waterfall Management Company and its shareholders are extremely proud of this international recognition and would like to thank and congratulate everyone involved in the development, including the individual residential investors who all contributed to this achievement in some way.